For the most part, changes that involve pure "number" tweaks - changing values on damage, cooldown, or mana cost - generally don't require a player to change their playstyle in response and thus can be more or less ignored if you're in a hurry. Thus here's a "quick guide" to patch 6.79 - I'm going to summarize the key changes that force players to alter their playstyle and approach to the game. This makes disrupting enemy supports trying to pull a lot easier, as you only need to be nearby to claim exp from the camp. Switching the camps around nerfs junglers who have to start with the easy camps, as doing so will disrupt your pull camp. The net result of these changes is to reduce the pool of possible junglers and make it more rewarding to lane instead: though, this doesn't affect specialist junglers like Nature's Prophet, Chen, Enchantress, or Enigma. I suspect Icefrog didn't like the passive jungle play that revolved around non-jungler specialists just clearing the easy camp over and over again. Some games would even devolve into a mid, safelane carry and 3 junglers passively farming away. Those specialist junglers typically have a kit that allows them strong gank potential and even the ability to offensive jungle. I honestly have no idea what will happen to these boots, except that these are excellent for gankers and roamers, which have fallen out of favour due to defensive trilaning. Now that Icefrog is trying to nerf defensive trilaning, the meta may shift towards roamers using these boots. They aren't useful for lane supports who harass the enemy and deny, and not useful for junglers. Especially not for heroes that would currently build these as early sustain and disassemble them into Vladmir's Offering or other items later. Or maybe they will be - who knows. 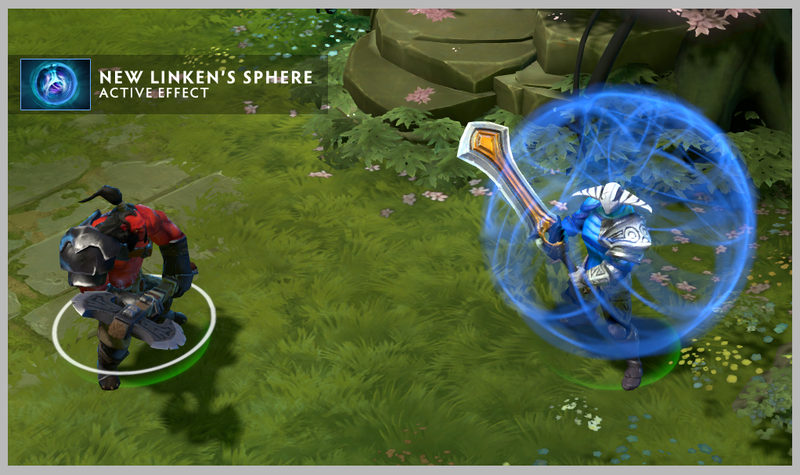 Orb change is primarily aimed at Huskar abusing Ghost Scepter to attack the enemy while being physical immune himself, but this is a large buff to Crystal Maiden and other heroes which can disable attacks (Treant, Invoker, Silencer) but couldn't disable manual-cast orb attacks before. This reduces his overly strong laning phase, so he's not such a dominant solo. Note that his 50 damage previously was average to high, while 40 damage now is low - however a single stack of sticky napalm increases his damage by 10, so his laning phase isn't a complete loss but he is forced into skilling that first. Very nice thematic change here, strengthening her ability to play the solo offlane role. This was necessary because Disruptor was completely countered by BKBs. Now if he gets the initiation off the enemy can't simply BKB, shrug off the silence then walk through the kinetic field. This ability is probably in homage to the Dark Lady in HON and gives you an incentive to use Darkness even at night. It will work well to reduce the enemy team's situational awareness, especially given the nerfs to many heroes night-vision range in this patch. This was previously prevented because you could hook people into impassable terrain. Instead now heroes that get hooked into impassable terrain are able to walk through cliffs and trees for a few seconds to escape. This actually makes Aghanim a core item on him similar to Invoker. This is a large buff to Slardar's ability to roam and gank. This will become a core element of his gameplay much like Phase Shift did on Puck when it lost its mana cost. Players will need to use Ghost Scepters to counter Slark players instead of detection. Being able to interrupt this is pretty crucial: it will be similar to having a Sand King using Burrow-Strike, you have to be ready with the stun to cancel the Epicentre.